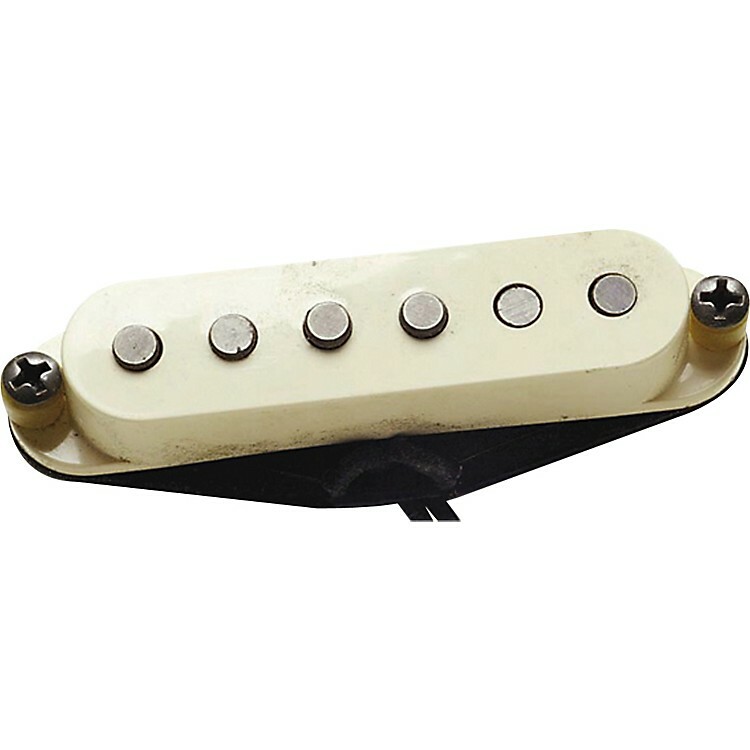 The Seymour Duncan Antiquity for Strat Texas Hot RW/RP is wound for added output and fullness. It's designed for the middle position and works with the neck and bridge pickups to mimic humbuckers in the 2nd and 4th notches of a 5-way switch. Like the Texas Hot, this pickup is both magnetically and physically aged to sound and look like a '50s pickup but with an added punch. Each comes with a specially aged cover. The magnets are calibrated and the coils are wound "top going" with north polarity, the same as the early vintage models. Each pickup comes complete with screws, schematics, and vintage "push back" cloth braid hookup wire. To some, this is craziness, intentionally creating an aged electrical component. But if you're like Seymour Duncan, and you appreciate the personal commitment and hand craftsmanship found in early electric guitars, then you'll want to capture that timeless beauty with an Antiquity pickup. Add new vintage tone to your axe. Order today.